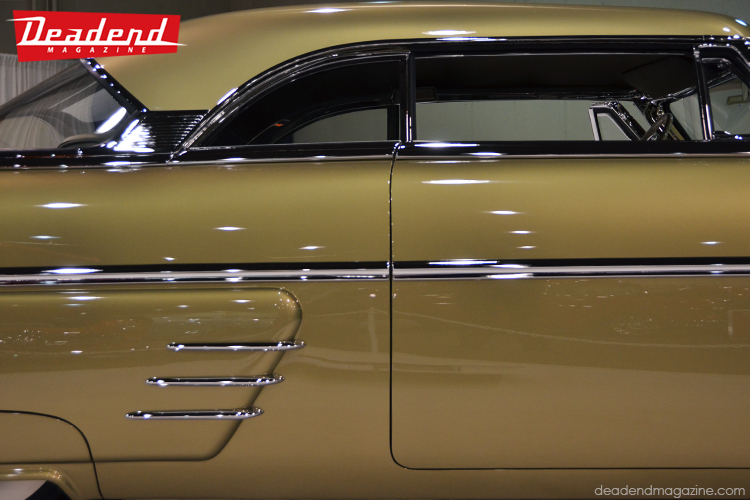 Our busy weekend began Thursday as we headed down to Pomona for the 2016 Grand National Roadster Show. We would like to first thank everyone that stopped by the booth! we really appreciate the continued support. We didn't have much time until Sunday to check out the show. When we did have time to check out and shoot the show we were excited to see so many nicely built traditional customs, hot rods & low riders. We were pleasantly surprised to see our good friend Darryl Hollenbeck win this year's "America's Most Beautiful Roadster." It was our pick for many reasons but we had no idea it would actually win. I think many traditionalist are very happy and feel like "one of us" won. Congrats to the Hollenbecks and anyone involved with the build. A different angle of the Hollenbeck deuce. If we had to choose a favorite of show we'd probably have to choose Scott Roberts' Merc. So nice and classy. Two very cool and classy cars. Marcos Garcia & company debuted this nice mild custom Chevy. Cool '50 made a comeback. Vee Manufacturing's Dave Mann inspired chopper. Richie Valles debuted his chopped and customized 65 wagon. Thanks again to everyone show stopped by the booth!